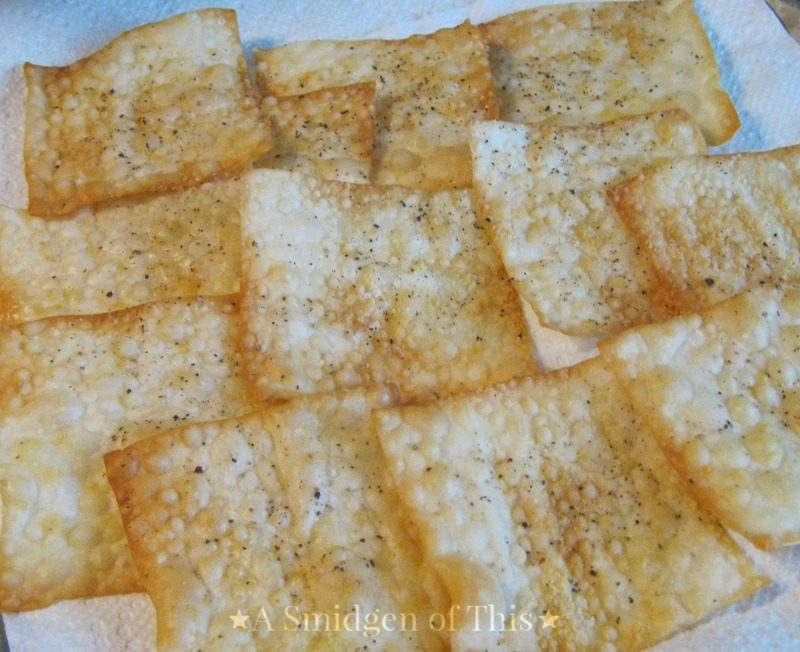 Wonton Crackers is so simple to have as a holiday party snack or appetizer and there is no mess to clean up. Since I’m the ‘cheesy’ person in the family, this would be a great appetizer served with Colby/Monterey Jack cheese or by itself. If you have any shredded Cheddar cheese in the fridge, you can add a smidgen to the tops and melt in oven. All sorts of ideas come to mind with these crackers…Use cookie cutters to make different kid friendly shapes also. Preheat the oven to 375 degrees. Brush some of the melted butter on two baking sheets and set aside. Place the wonton or eggroll wrappers close together on the baking sheets. Brush the tops with the remaining melted butter. Set aside. In a small mixing bowl, combine the cheese, chives and parsley. Sprinkle evenly over the wontons. Lightly press into the wrappers with your fingers. Bake 5 minutes or until lightly browned. Immediately transfer to a cooling rack and serve at room temperature. Note: Store leftovers in an airtight container at room temperature.